The AN- 28 was developed in the 1969 to replace the AN-14. It is similar in layout to the earlier design, but features an enlarged fuselage, turboprop powerplants and a larger wing to carry the increased payload. Production was allocated to Poland's PZL Mielec and did not begin until 1984 due to an unusually long development period. 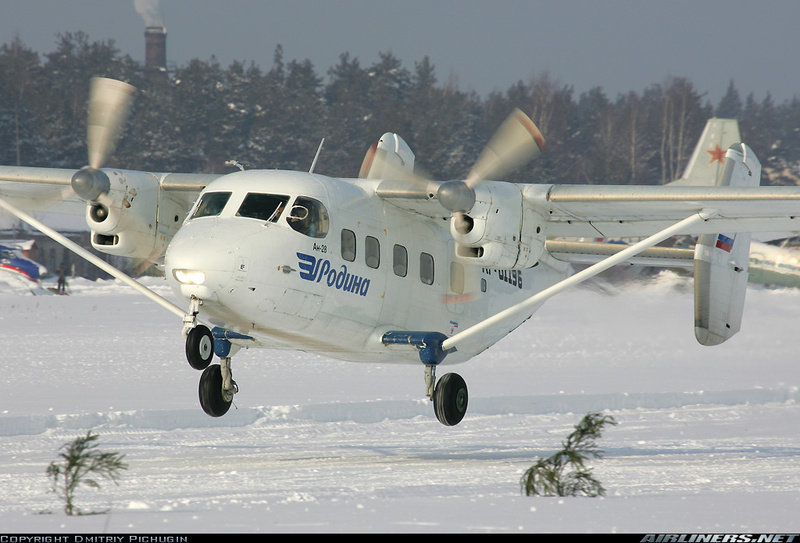 68 of 191 An-28s remain in service and the design was adapted by PZL as the M-28 Skytruck in 1993. The fuselage is two halves from nose to tail. The cabin windows are open, with clear parts provided for them. The cockpit windows are provided in two halves. Gluing them together will be slightly tricky due to their small size. A possible solution is to glue them into the fuselage halves before closing them. The panel lines are nicely engraved and match up well. A fairly complete cockpit is provided, with floor, bulkhead, seats and instrument panel. I don't know how much will be visible through the thick and distorting windows. By contrast to the AN-14 kit, a complete passenger cabin is provided. Little will be visible through the tiny windows. The kit will need nose weight but the correct amount is not indicated on the instructions. There is not much room in the nose for it. I suspect that the nose will end up packed full. There should be a pair of landing lights behind a clear fairing under the tip of the nose which are provided as a decal. It wil have to be scratchbuilt if the modeller wishes it to be clear, which will be challenging due to the small size. The lights are clearly visible in the picture of the Rodina aircraft linked to below. The rear fuselage freight/skydiving doors are moulded shut. The wing is a one piece moulding that sits on top of a cradle moulded into the fuselage. Dry fitting and tweaking will be needed to ensure it fits squarely. The engines are two halves. One piece 3-bladed propellers attach to the engines without shafts. A little dryfitting will be needed to ensure correct allignment. The landing gear struts and wheels are moulded seperately. The main struts fit onto the ends of stub wings that mount to the lower fuselage. Each main wheel is in two halves, as are the stub wings. The modeller is advised to tweak the fit in the same manner as was done with the wings to ensure everything is square. A wing strut is attached to each end of the stub wing, so it is vital that everything is in allignment in order for the struts to fit properly to the wing. I don't compare models to drawings or published measurements. When assembled it will look like an AN-28. The decal sheet is in A-model's typical matte finish and offers two different An-28s. The first is from Poland's Sprint Airlines in overall white with a yellow nose and fins with a large blue “S”. The second is an overall white aircraft with blue trim from Russia's Rodina Air Service which is apparently a skydiving operation, as photos show the aircraft without its freight doors. There are sufficient decals to complete two aircraft. SP-DUB in service. This photo does not reproduce the colours properly; the yellow should be brighter, and the “S” graphic on the fins is actually blue rather than the black shown here. RF-01196 departing on a wintry morning. Highs: The only An-28 in this scale.